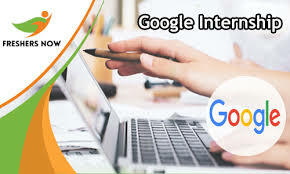 The applications are invited from the eligible candidates for the most prestigious program, Google Internship 2019 in various States of USA for the bachelor class students. This program has the duration of 12 to 14 weeks and it is the paid internship program. The Google internships will be given to the students of software engineering. This program will give the opportunity to work on complex computer science solutions in order to develop the scalable, distributed software systems and collaborate on smaller projects, which can have the universal appeal and they need to research, awareness, interactivity and ability to ask the right questions. The engineers from AdWords to Chrome, Android to YouTube, Social to local, and they are changing the world one technological achievement after the other. We concentrate on being the collaborative, global organization comprising of the engineers, who address some technologies and their great challenges to make effective impact on millions of people. The candidates, who are currently enrolled in full-time Bachelors degree program in Computer Science or related technical field and return to the full-time degree program after completion of internship. Having the experience of working with the following: web application development, Unix/Linux environments, mobile application development, distributed and parallel systems, machine learning, information retrieval, natural language processing, networking, developing large software systems, and/or security software development. Having interest and ability to learn other coding languages including Working proficiency and communication skills in verbal and written English. The candidates will find that Google Internship Process Application form for Google internships is simple and easy to complete. Click on APPLY NOW button provided below in order to proceed to the application form. The deadline for Paid Google Internships at Google in USA is September 28, 2018.